Uganda National Meteorological Authority (formerly Department of Meteorology) under Ministry of Water and Environment is a semi autonomous government authority for weather and climate services (UNMA Act. 2012) and a focal institution to Inter-Governmental Panel on Climate Change (IPCC), an international body mandated to carryout scientific research on climate change. The Government of Uganda (GoU) has always recognized natural resources (including the weather and climate) as a basic factor in the country's national development process. 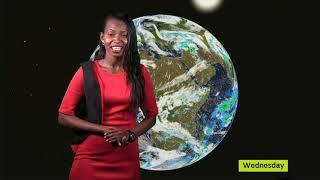 More..
To be a centre of excellence on Weather and climate services for sustainable development of Uganda. To contribute to overall national development through provision of quality customer focused cost effective and timely information for weather and climate services to all users. Overall, there is an increased likelihood of above normal rainfall over most parts of Uganda and near normal rainfall in most parts of Karamoja and southern cattle corridor. Sector advisories and explanatory notes to terminologies are available in September to October 2018 Rainfall Forecast Bulletin. This area has been experiencing isolated showers and thunderstorms, which are expected to continue up to the onset of seasonal rains expected around mid September. The rains are expected to reach the peak levels around mid-October and the cessation around early December. Overall, above normal (above average) rainfall is expected to prevail over this region. The region is experiencing occasional showers and thunderstorms that are expected to persist up to early / mid September, when seasonal rains are expected to get established and reach peak levels around mid/late October. The end of the seasonal rainfall is expected around early/mid-December. Overall near normal (average) to above normal (above average) rainfall is expected over this region. Eastern parts of Central (Mukono, Buikwe, Kayunga, Buvuma) districts. These districts are experiencing occasional outbreaks of showers and thunderstorms which are signifying the onset of seasonal rainfall. The seasonal rainfall is expected to reach the peak around mid / late October and the cessation is expected to occur around early / mid December. There are high chances of above normal (above average) rains to prevail over most parts of this area. This region has been experiencing isolated outbreaks of showers and thunderstorms that are expected to continue up mid-September when the onset of the seasonal rainfall is expected. The peak of seasonal rainfall is expected around October, and the cessation of seasonal rainfall is expected around early December. Overall, near normal (average) to above normal (above average) rainfall conditions are expected to prevail over this region. Currently the region is experiencing light rains which are expected to continue up to mid September when the onset of the seasonal rainfall expected. However, the peak of the rainfall is expected to be around early/mid October, the cessation of the rainfall is expected to be around early December. Overall, there are high chances of above normal (above average) rains to prevail over the region. This region is currently experiencing occasional heavy showers and thunderstorms, which are expected to continue up to around early/mid-September when the onset of the seasonal rains is expected. The peak levels of rainfall are expected during October and cessation is expected around late November. There are high chances for near normal (near average) with slightly tendency to above normal rains over this region. The rains which are being experienced in this area are expected to continue up to mid September when steady seasonal rainfall is expected to get established. The peak of rains is expected around mid/late October, thereafter, a reduction in the rainfall is expected to set in and continue up to the end of the season around early/mid-December. Overall, near normal (near average) rainfall tending to above normal (above average) rainfall is expected. This region is currently experiencing occasional showers and thunderstorms which are expected to continue up to onset of the rainfall season. The end of the seasonal rainfall is expected around late November to early December. Overall, near normal (near average) to above normal (above average) rainfall is expected over this region. The rains are expected to continue and reach the peak levels around early/mid October. Thereafter, the cessation of the rainfall is expected around late November to early December. There are high chances for this region to receive normal (average) to above normal (above average) rainfall. The rains that are being experienced over this region is expected to continue up to around late November, and thereafter, a reduction in the rainfall punctuated with dry conditions are expected to prevail up to end of the forecast period. Overall, near normal (near average) to above normal (above average) rainfall is expected during this season. This region is currently experiencing isolated showers and thunderstorms which are expected to persist up to around early/mid-September when the seasonal rains are expected to begin. The rains are expected to reach peak levels around mid-October to early November. The cessation of the seasonal rainfall is expected around mid December. There are high chances of near normal (near average) to above normal (above average) rains over most parts of this region. Following the dry conditions which were experienced during July/August the region has started receiving outbreaks of showers and thunderstorms over several places. However, the onset of steady rains is expected around early/mid-September. The peak of rains is expected around October. 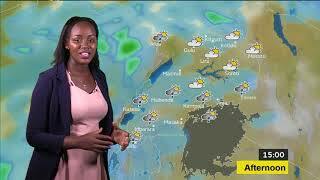 The cessation of seasonal rains is expected around early/mid-December. Overall, near normal (near average) with the tendency to above normal (above average) rainfall is expected to prevail over this region.